SHENYANG, China — The hulking, brown-brick industrial plants lining the roads were once the backbone of this gritty city. Today, they are outdated and unwanted, and the region is one of the Chinese economy’s most troubled. A short drive away, however, a newly minted industrial park offers reasons for optimism. Liu Qi, the chairman of PQI Industrial Technology Group, opened an $18 million factory there last year, equipped with whirring robots that pound out car parts for the German automaker BMW. 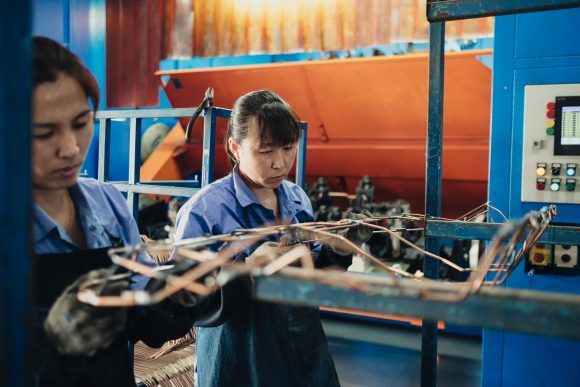 The factory, and the more than 200 jobs it has created, is just one small part of a grand plan led by China’s government to rejuvenate Shenyang, a city of eight million, by replacing stumbling state industries with modern manufacturing and start-up companies.